BROWNVILLE - Bill Sawtell is well known throughout the Penquis region as a prolific author of local histories, and he has hit the mark again with his latest book, Old Sebec Uolume II. 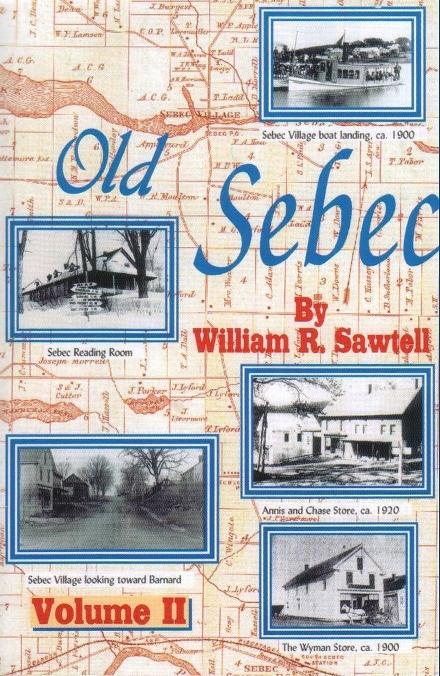 The new book tells the story of the people and events which shaped Sebec's history, from its earliest settlers to more recent residents and activities. But it's the people which form the heart of the soft cover book. Beginning with the Mallett family, Sawtell lets David Mallett, and internationally recognized songwriter and singer, tell the story of how the family came to Sebec in the early 1800s. The family lineage is augmented with many antiquarian photographs from the family. Sawtell notes, "A highly skilled songsmith, Mallett has consistently captured the cold winds and warm hearts of northern New England and the simple life of rural America through his songs." Sawtell then moves on the Taylor family, telling how a marker come to be placed on a rock in Massachusetts marking a Taylor family event in about 1639 (you'll have to read the book to learn the facts). There is much information about the Taylor family in Sebec as well as photographs of the Taylor farm and other family photographs. 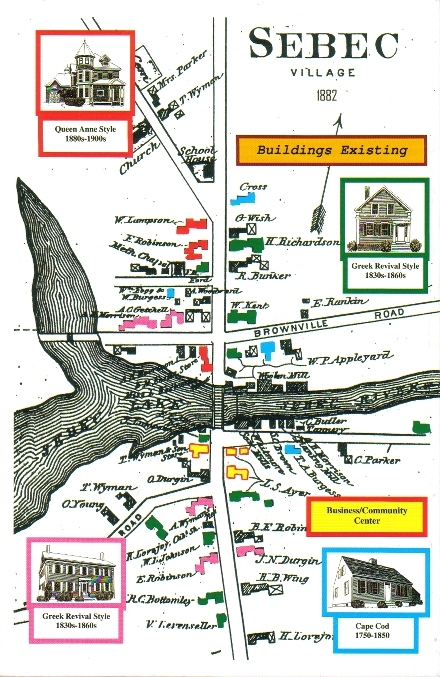 Additional family histories include the Henry Green family of New Brunswick, who moved to Sebec after being early residents of the upper Miramichi. There's the story of the Hassell family, the Livermores, Ramona Smart Hamlin, Bob Stone, the Ames family, Ruth and Harry Taylor (he was a school bus driver in the World War II era), the Varnums, and countless others. But the book is not all family histories. There are interesting samplings, or vignettes, of life in days gone by. There are stories of snows and floods, Main Street life and the old dams. There are census figures, and even mysteries. And there are scores of old photographs showing life as it used to be in this tiny Piscataquis County town. Bill Sawtell has gathered a large basket of stories and tales to compile into this very readable book, published by Moosehead Communications, Inc. of Greenville. Dedicated to Bea and Rex Varnum, it is the story of small town life, told by the people who lived it.